Dr. Atla Shashi Bairagi obtained B.Sc. and M.Sc. 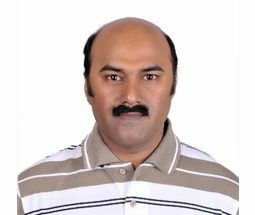 degrees in Chemistry from Berhampur University, Orissa, and received his Ph.D from National Chemical Laboratory (Pune University) in the field of arylation and carbonylation reactions using catalysis. During his course work for Ph.D. he collaborated with Kiel University, Germany under DST-DAAD fellowship. He has also published several papers in peer reviewed SCI international research journals. He has mentored several graduate and undergraduate students for their research thesis.